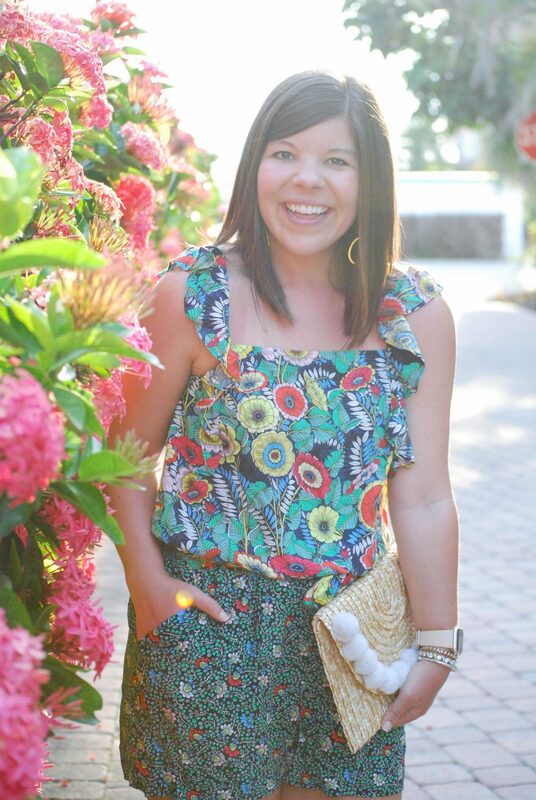 Hoping that print-mixing is still a thing – because I’m still loving it so! 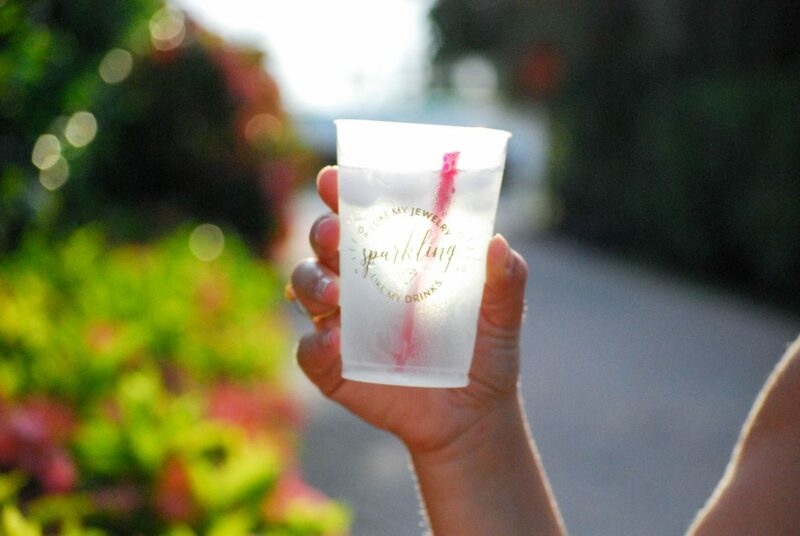 As summer winds down this is still the perfect piece for those long, hot nights! I’m baaaaack in Florida and it feels so good to be home! I always think I’m going to get SO much done prior to my trips, and then boom! They sneak up on me and I haven’t gotten nearly as much prep work done as I wanted to. But I am trying to give myself grace 🙂 Balancing a full-time job, social life, and the blog is no joke! 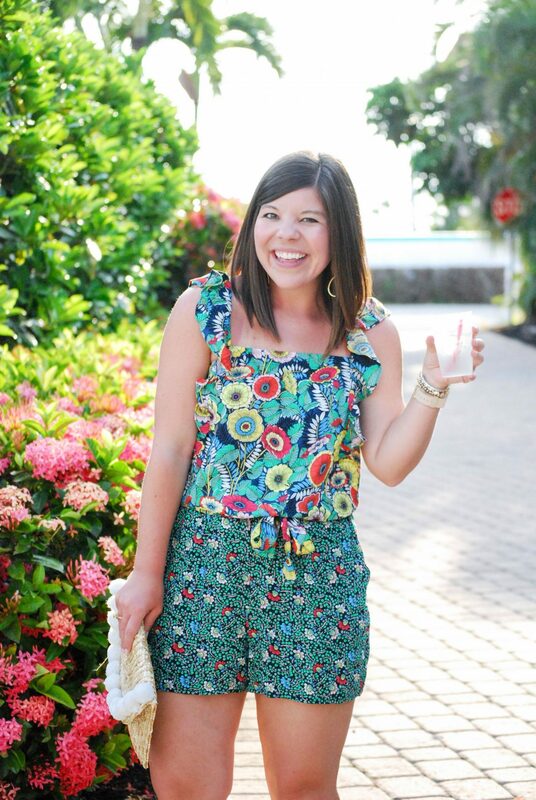 Anywoo… on to day’s adorable print mix romper! 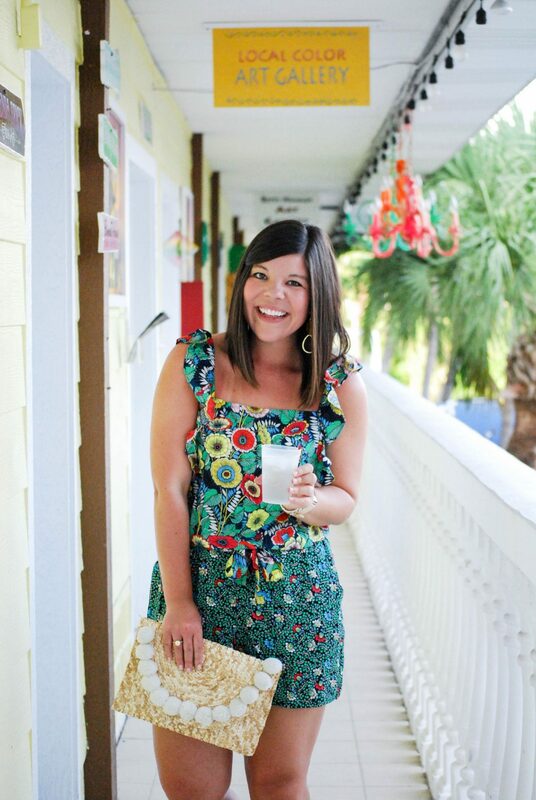 You know how some things are just “meant to be?” Well that’s the story of this romper! I was returning a few things to Loft the other week and of course had to peruse the store (duh!). Over on the sale rack I spotted this fun print (& loved how it was a built-in print pix) and it happened to be an online-only item that was returned! It fit perfectly and I knew it was going to be coming home with me for my recent trip to Olde Marco Island Inn and Suites! The fabric is super lightweight and so good for those steamy end of summer days, and the fit is TTS so you can feel comfortable ordering online in your regular loft size. 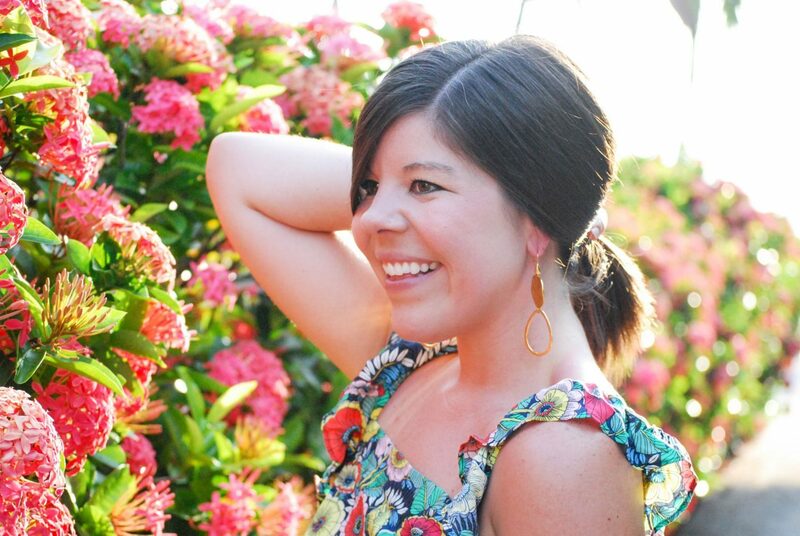 I dressed this look up for dinner with big earrings and a festive clutch… easy and happy! Previous Post Shop With Me at Banana Republic Factory! 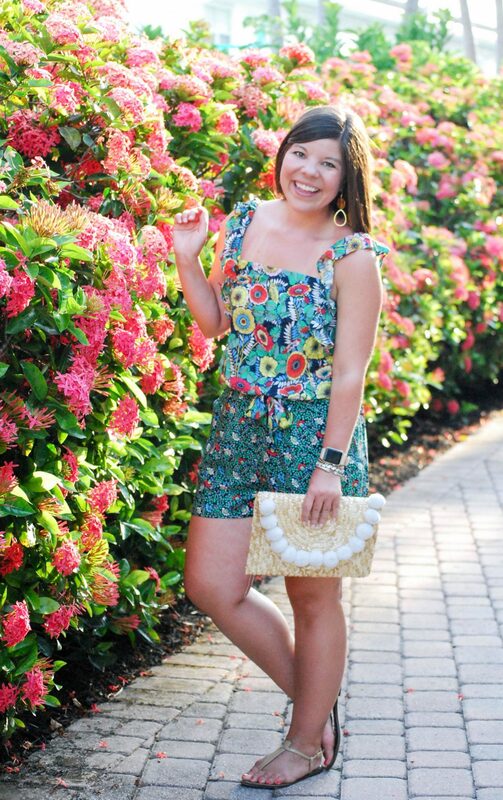 Gentry, you pull off a romper like no one else I know!! I really love the mixed print, I haven’t seen that before. Loft is just the best. 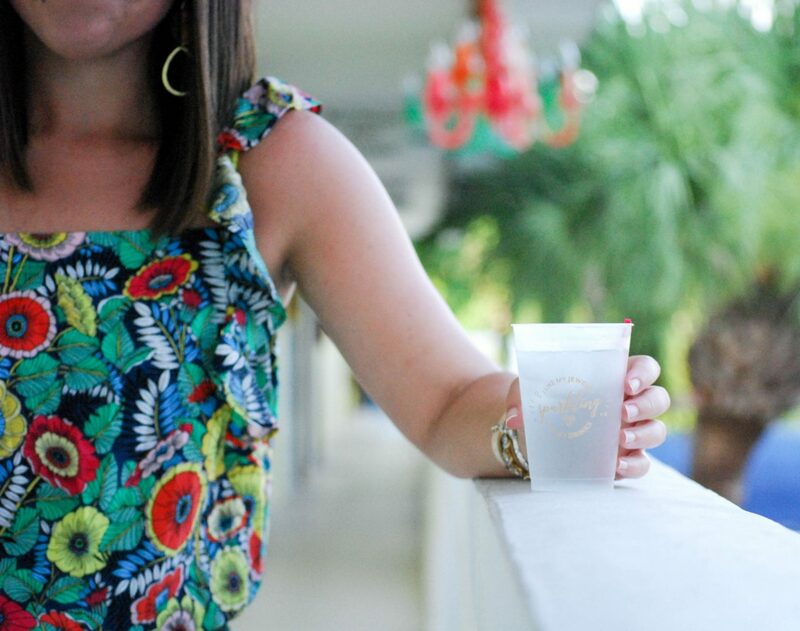 Oh, this romper is so CUTE! I love the mix of prints, it’s so different, I actually thought it was a two piece! 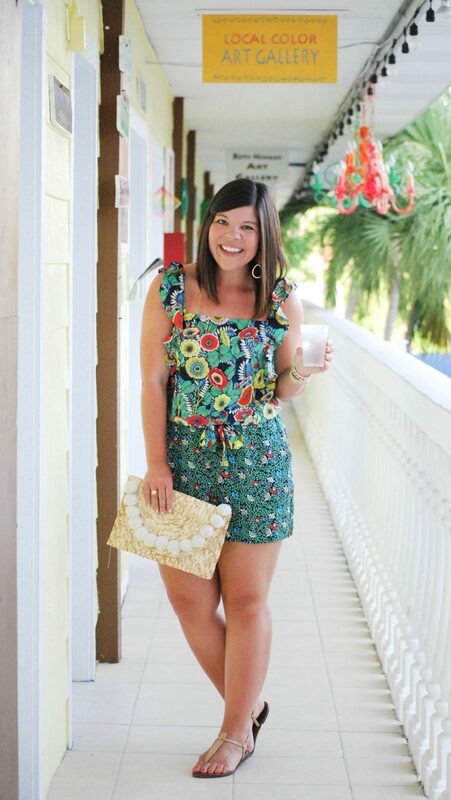 How fun is this romper?! I just love that it already has such fun prints mixed together. That’s such a lovely romper you got there dear! Colors are sooo pretty!